All homes currently listed for sale in the zip code 85035 as of 04/20/2019 are shown below. You can change the search criteria at any time by pressing the 'Change Search' button below. 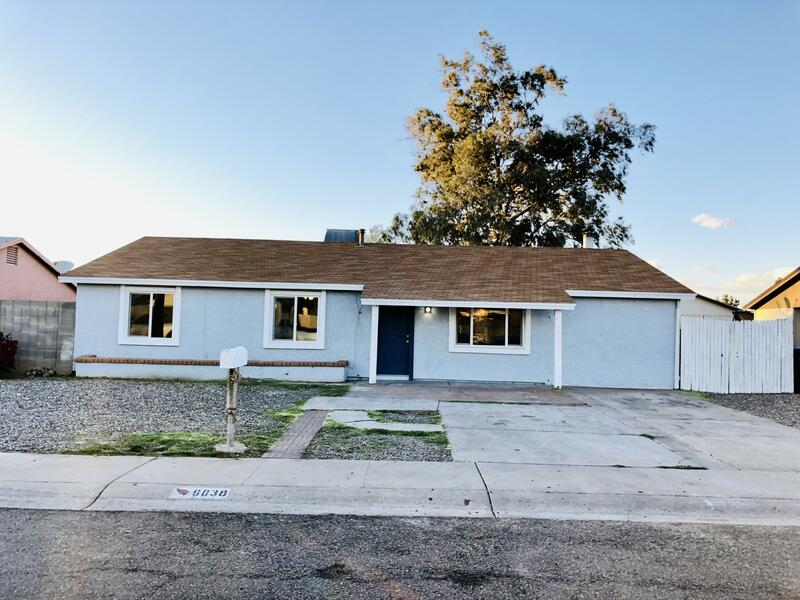 "very unique property this is a remodel home that is just gorgeous in every way you can think about it, wood looking tile,granite new cabinets all the way around,plus it has a mother apartment a lot of attention to detail." "Deals like this don't come around often! Luxury finishes for a fraction of the price. 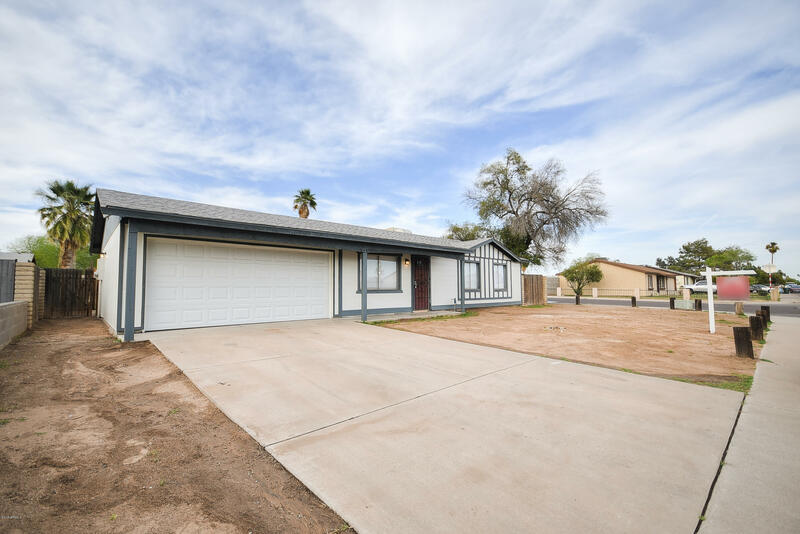 New roof, New AC & Heat Pump, New windows, Irrigation installed, new sod, completely updated throughout with gorgeous granite countertops, shaker style white cabinets, tile throughout the kitchen and main living areas, and stainless steel appliance package! Backyard entertaining area features a sparkling pool and grassy areas for the kids! This won't last long!" "Move in ready. Spacious, lots of upgrades!!" "ABSOLUTELY GORGEOUS REMODEL!! LARGE OPEN FLOOR PLAN with high smooth texture ceilings! NOTHING SPARED ON THIS ONE! New STAINLESS STEAL APPLIANCES, NEW kitchen cabinets, ALL NEW BATHROOMS, NEW TEXTURE on ALL walls and ceilings, QUARTZ countertops WITH CRYSTALS, ALL NEW DOUBLE PANEL WINDOWS FOR ENERGY EFFICIENCY, ALL NEW LIGHT AND FAN FIXTURES, NEW TILE SHOWERS by DESIGN, ALL NEW TILE throughout entire house, NEW PAINT inside and out, NEW DOORS, and STUCCO, NEW FANS, LIGHT FIXTURES, and much MORE"
"5 bedrooms and 2 baths in quiet neighborhood. Tile flooring through all the main living, carpet in bedrooms. Turf Grass front and back with gravel. Easy to maintain landscaping for both. Stunning kitchen with upgraded cabinetry, granite counters, kitchen island, and stainless steel appliances. Large master bath suite with tiled walls and walk in shower. You have to see it to appreciate it." 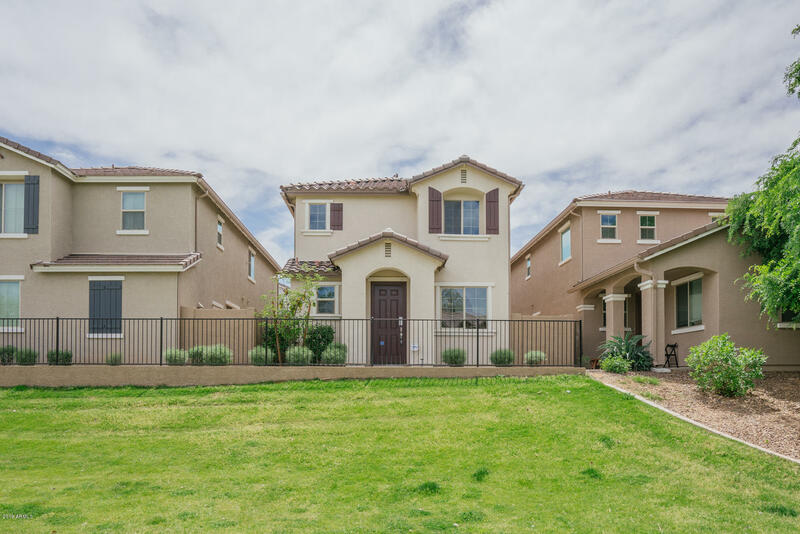 "This highly desirable 4 bedroom, 2-story home is located in the Vinsanto master planned community. The home has new paint as well as new laminate on the 1st level and new carpet on the stairs and bedrooms, as well as new tile floors in the bathrooms and laundry room. The home offers tons of natural light and an open floor concept. The kitchen showcases brand new Samsung stainless-steel appliances and lots of warm wood cabinetry. The spacious bedrooms offer plenty of room for sleep, study and sto"
"Wow! 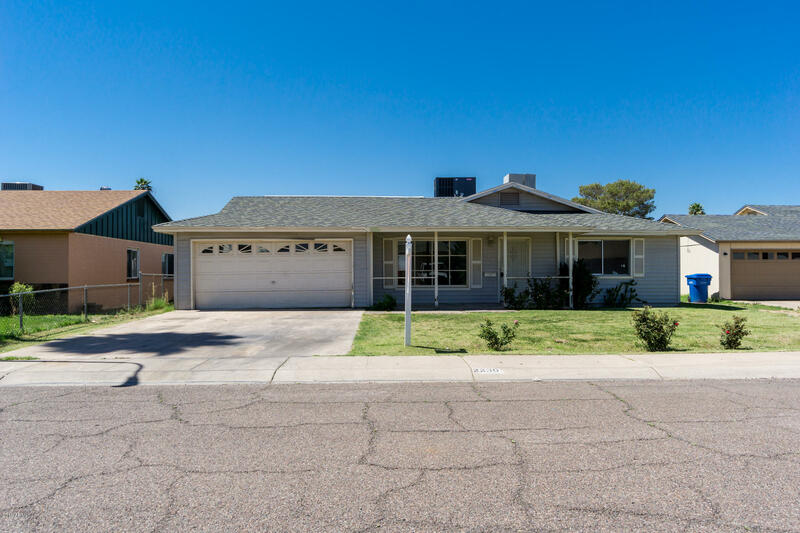 Take a look at this beautiful 1948 sq ft home, 4 bedrooms, 2 bathrooms, Formal Living area and family rooms.! Fresh new paint inside and out. 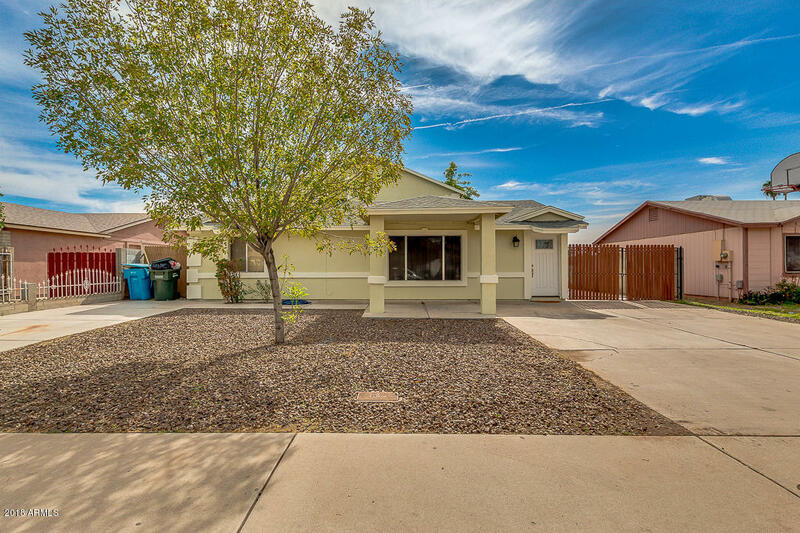 Brand new modern flooring, spacious kitchen with brand new granite counter-tops, and a spacious backyard. Hurry, this beauty won't last!" 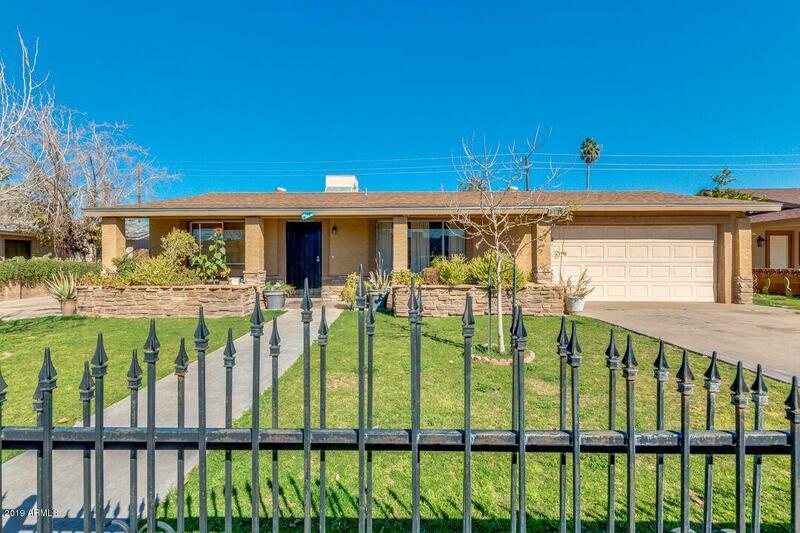 "Back on the market was on escrow for 45 days deal fell through because of buyer's performance. Beautifully and freshly painted home inside out , with new kitchen and bathroom granite counter tops and toilets and sinks, New garage door,new bed and bath rooms flooring, new brick wall on the back yard side east of the property, new wood fence on back yard on the north and west the property.HUGE BACK YARD with a nice semi covered back porche, nice size RV gate, new garage door 2 car garage. 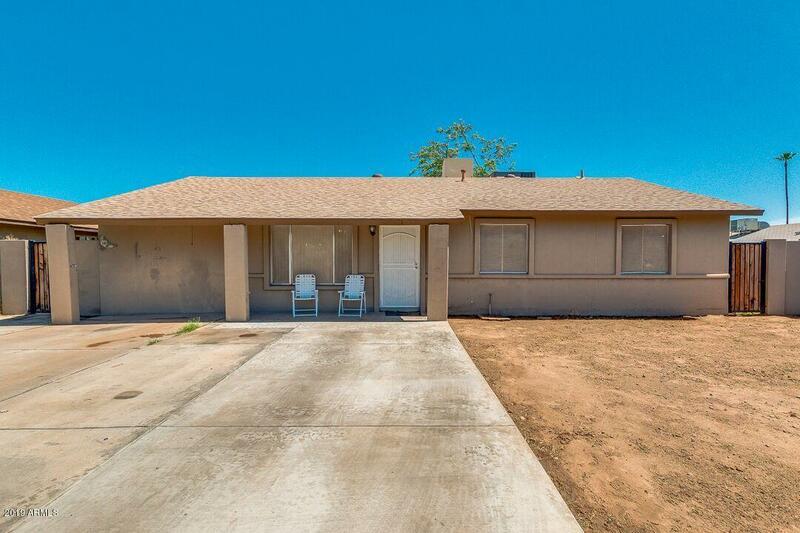 excelle"
"Come see this house for yourself or as an investment property with tenants in place. tenants lease expires may 15th but will stay if desired! 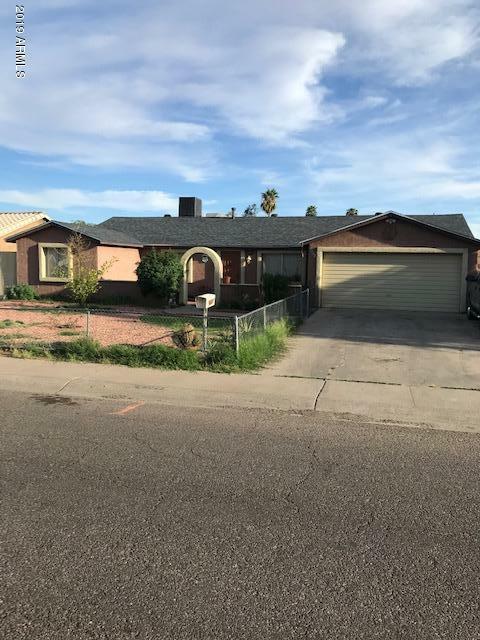 This home sits on a large 7800sqft corner lot and is 1680sqft inside with 3+1 bedrooms 1bath the bonus room off the back of the house has a closet and 2 1 ton AC units as well. The shower is an ADA roll in shower for wheelchair access and bathroom and the adjacent room have wider door frames for wheelchair access as well. The large backyard is shaded f"
"STOP this is the home your looking for! Hurry to see this beautiful move-in ready property! 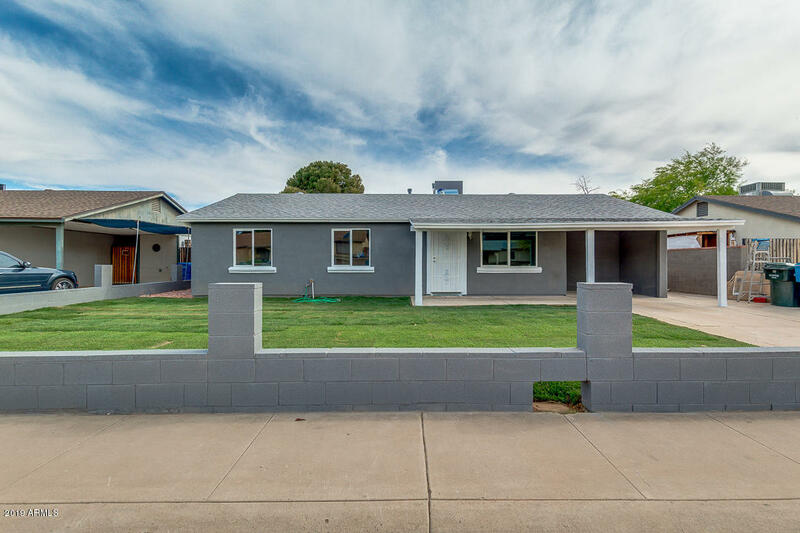 Sellers have just completed a remodel and spent over 20,000! New Roof, New Exterior Paint, New tile work in bathroom, kitchen and on the fireplace. New wood laminate floor installed, New granite countertops, New carpet, Renovated cabinets and much more! This open concept kitchen includes stainless steel appliances, center island for prep & breakfast bar, granite countertops, tile backsplash, walk-in pantr"
"A MUST SEE HOME with an inviting front porch for entertaining. When you walk in the first floor has a bedroom and full bathroom. The laundry room and access to the 2 car garage with remote is on the opposite side. The stairs up leads you to the second floor that has a large living space, office nook, formal dinning room, kitchen island, Stainless Steel appliances and half bath. The third floor has 2 Master suites with bathrooms inside. 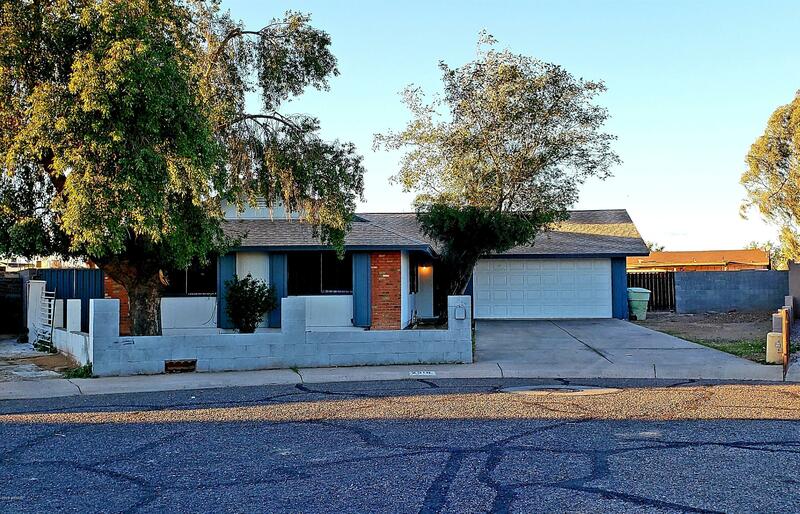 Ceiling fans and 2'' faux blinds throughout the home help th"
"A lovely 3 bed, 2 bath property in Phoenix is now on the market! Located in a cul-de-sac with back alley, and featuring grassy front landscaping, a 2 car garage, dining and living areas, an elegant kitchen with ample cabinet and counter space, a beautiful master bedroom with its own private bath, and an expansive backyard with a refreshing diving pool." 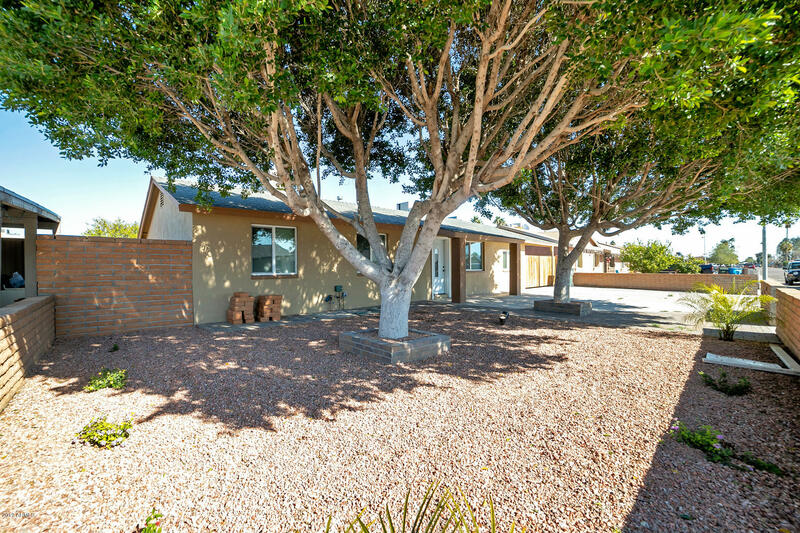 "Fantastic corner lot home in a Beautiful community! This gorgeous great room floor plan comes complete with tile floors in all wet areas, 3 bed, 2.5 bath, neutral paint throughout**Kitchen features large center island with breakfast bar, stainless steel appliances, recessed lighting, and Upgraded Espresso Cabinets** Upstairs master suite is Oversized to fit a sitting area and has full bath with step-in shower, separate tub, dual sinks, and walk-in closet**One of the Largest Yards in Vinsanto, si"
"Like New! Tri-level home in Vinsanto Community!3 bedrooms and 3 full bathrooms. 2 Living rooms. 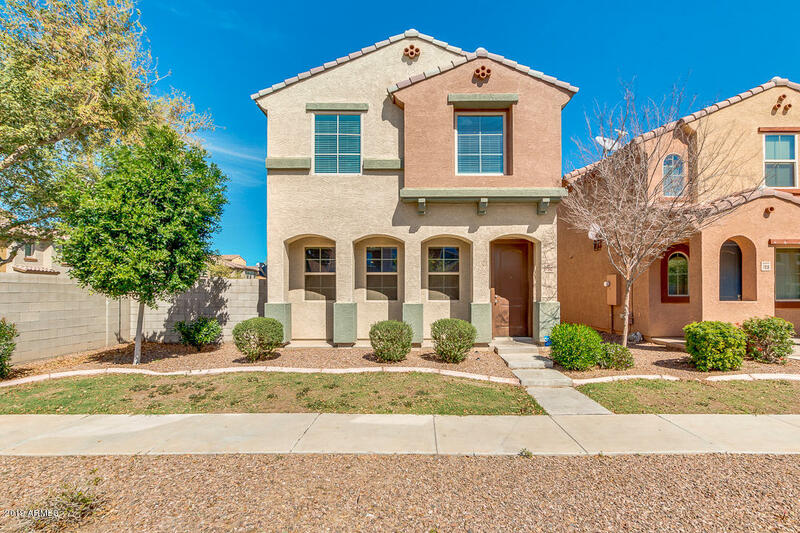 Large Master with Walk-in Closet and Garden Tub.Playground and 1 of 2 Community Pools right across the street with a huge green area. 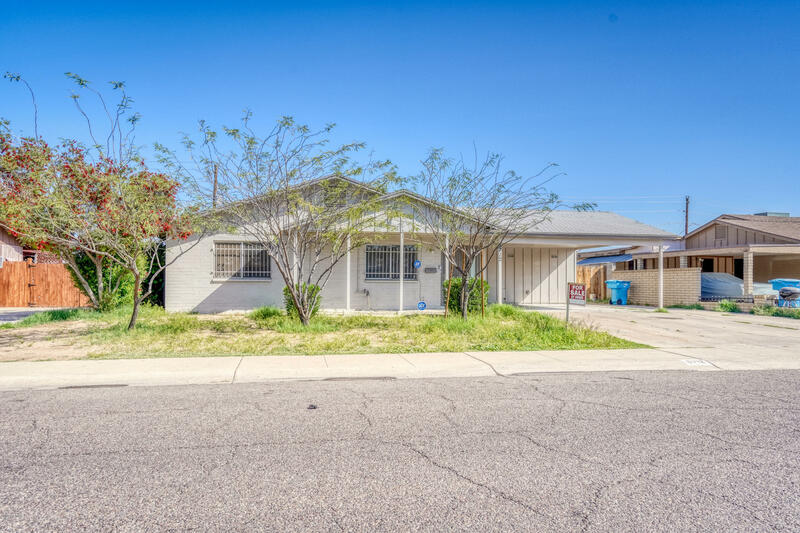 Perfect for Picnics, and Birthday Parties"
"Great starter home in West Phoenix, with easy freeway access and close to shopping centers .Nice open floor plan and ceramic tile in all the right places. The kitchen has beautiful granite counter tops and back splash title . 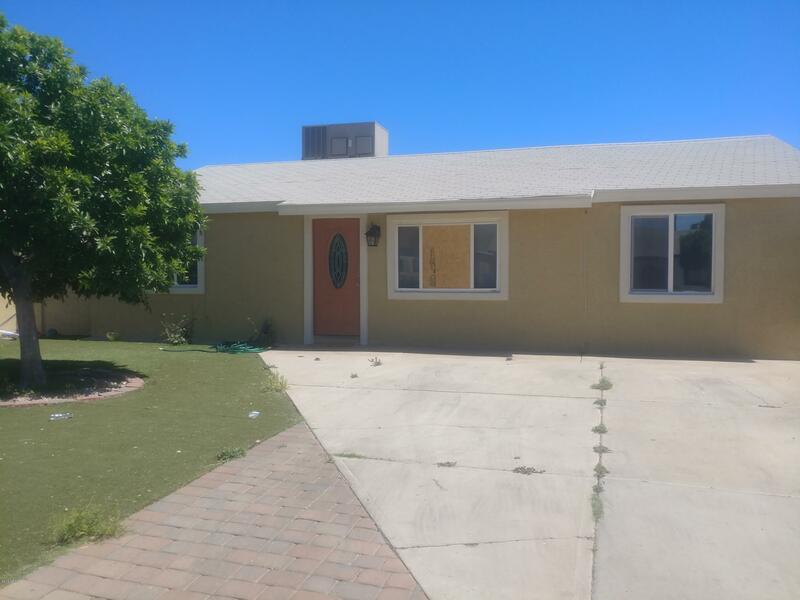 4bd/ 1.75ba + studio on the side of house separate entrance that can be rent out to help with your mortgage payment , just the right size patio for outside barbecue and backyard perfect for entertaining. Come see it today before it's gone!" 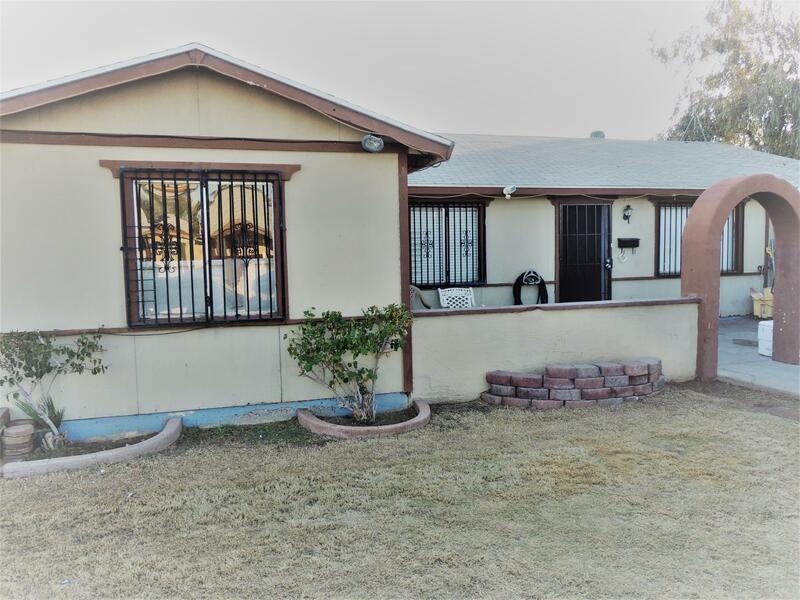 "DON'T MISS THE GREAT OPPORTUNITY TO OWN THIS MOVE IN READY 4 BEDROOM, 2 BATH MARYVALE HOME COMPLETE HUGE REAR COVERED PATIO & WITH PEBBLE TEC POOL. NEW SHINGLE ROOF 2019.GREAT OPEN FLOOR PLAN,GRANITE COUNTERTOPS,BREAKFAST BAR,FORMAL DINING AREA,TILE FLOORING THROUGHOUT FOR EASY MAINTENANCE.CALL TODAY TO SCHEDULE YOUR VIEWING." 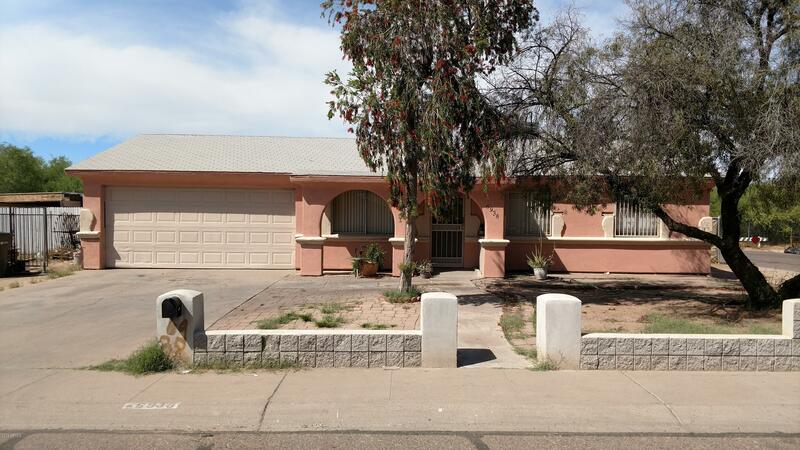 "Gorgeous 3 bedroom 2 bath and 2 car garage home. Beautiful open concept, with tile through out the home. New plumbing, pipes and roof, Stove will be installed before close of escrow. Easy access to Papago Fwy.Come see today!!!" "Newly updated block home in a family-friendly area. Home is open and airy with a warm neutral paint and tile palette throughout. There is a lot of room for entertaining, inside and outside this beautiful home. The kitchen has granite countertops and a stone-like backsplash. Bathrooms have also been updated with tile surrounds in the bath/shower. Make this inviting home yours today!" "You will not find a home like this for this price! 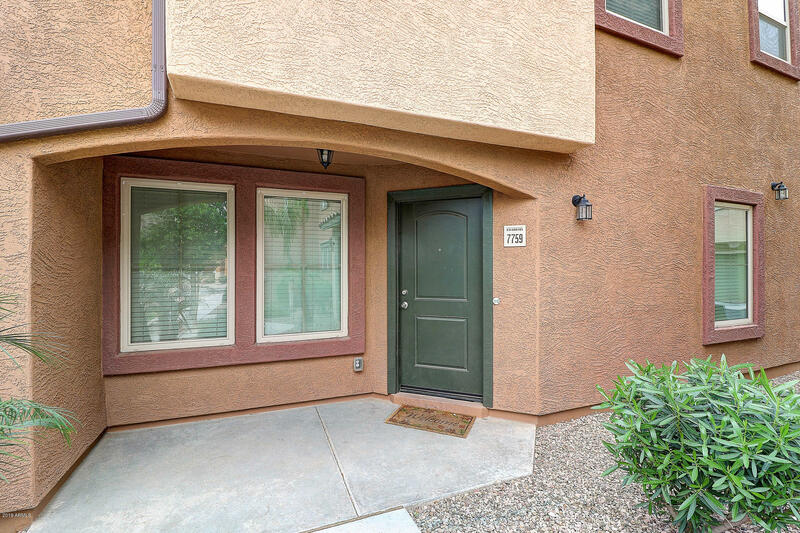 This lovely home offers a cozy and functional floor plan and is only 20 minutes to Cardinals Stadium! You will enjoy cooking in the spacious kitchen with large island, granite counters, tiled back splash. The kitchen overlooks family room and dining room. There is a Powder room downstairs and an outdoor patio area. 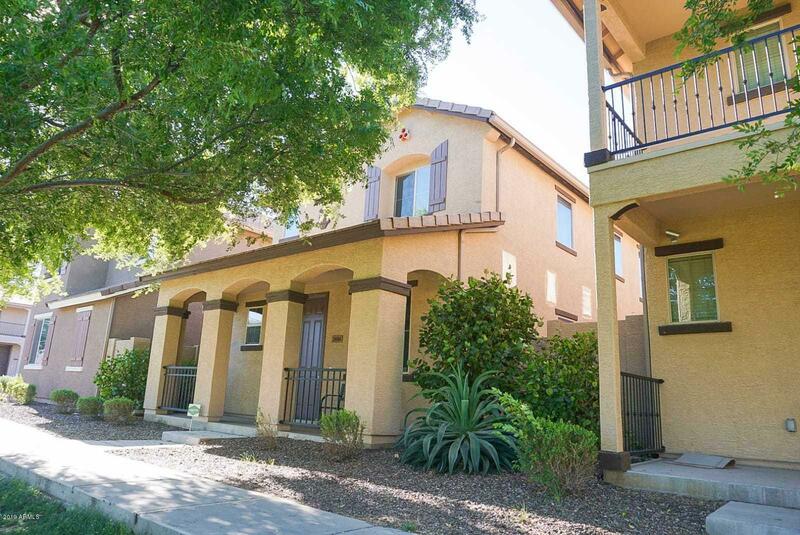 Upstairs you will find 3 spacious bedrooms, master bath, guest bath, and laundry room. 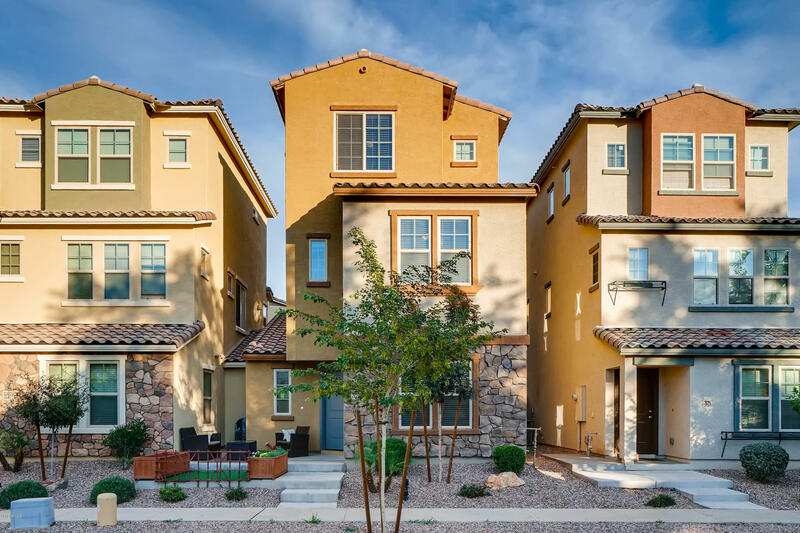 Large windows add to this bright and chee"
"Built in 2016, this Phoenix two-story offers stainless steel appliances, granite kitchen counter tops, and a two-car garage. Upgraded features include fresh interior paint and new carpet in select rooms.Home comes with a 30-day buyback guarantee. Terms and conditions apply." "Location, location, location!! !., close to 101 fwy. 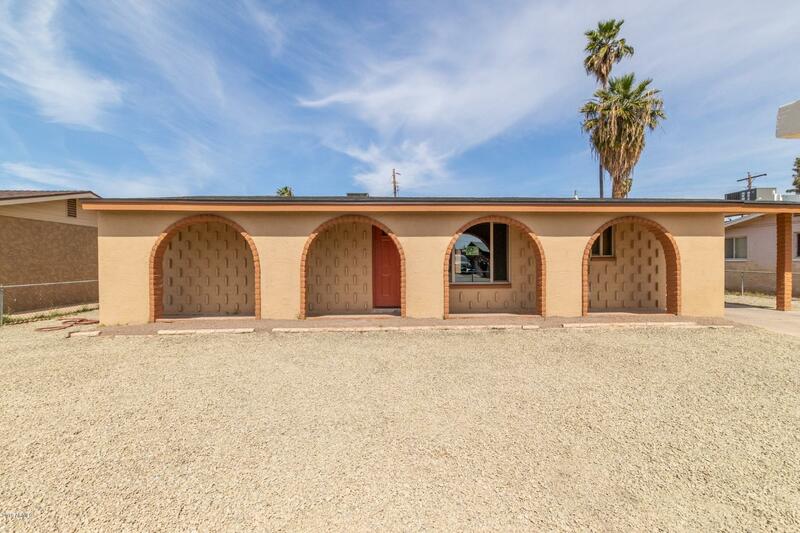 I-17 and I-10 yet secluded within a gated community; with a community pool and playground. 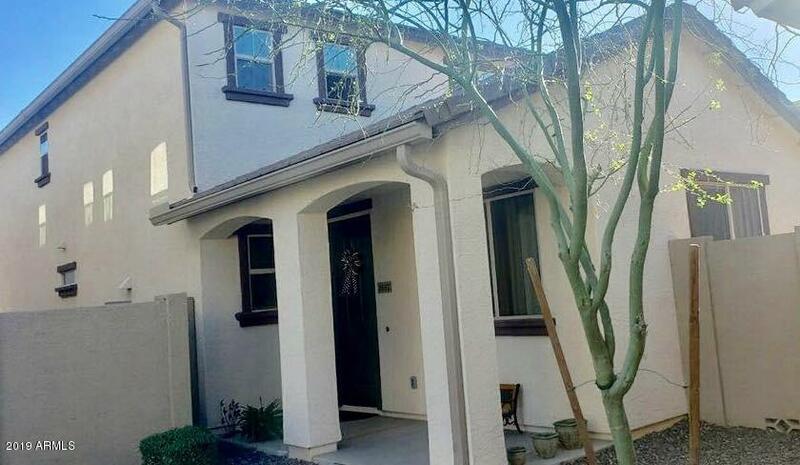 This 3 Bedroom, 2.5 Bathroom, 2 Car Garage home has the appeal of a modern urban home, featuring stainless steel appliances, granite counter-tops high end wood laminate floors, Shopping, restaurants, and bus lines are in walking distance Schedule a Showing Today! It won't Last, Hurry!! make an offer today." 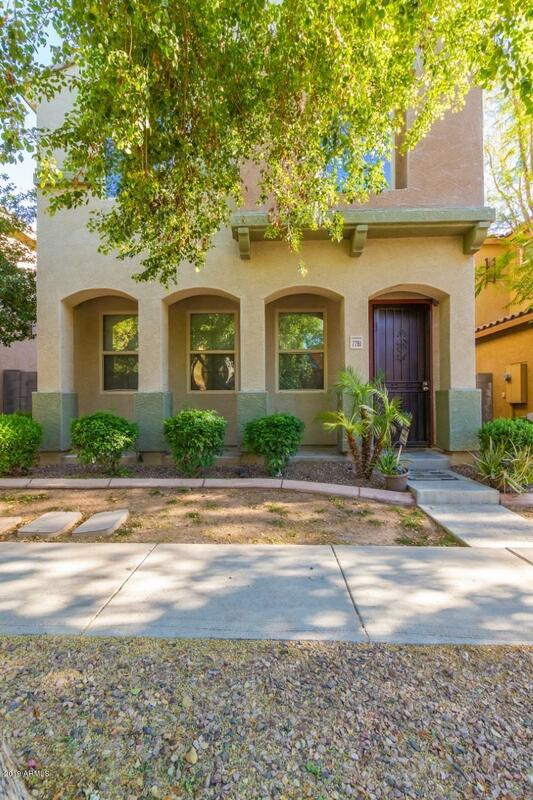 "Come check out this beautiful Phoenix home that's move-in ready! 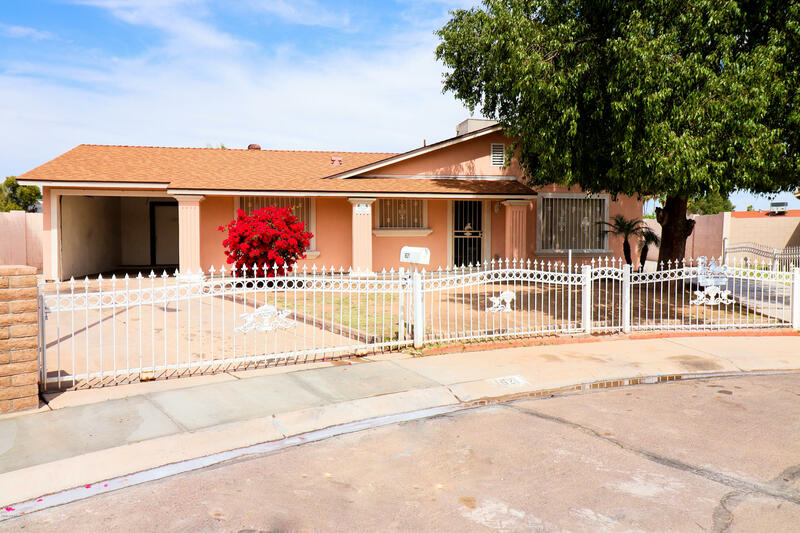 This 3 bedroom 2 bath plus bonus room home boasts an open living-dining area and new paint throughout. Your new kitchen features updated wood cabinets, pendant lighting, and black appliances. Bedrooms are spacious, the master room features a full bath, walk-in closet, and a cozy sitting area. Adorable back yard with an extended covered porch and RV Gate. Don't miss out on this one. Schedule your showing today!" 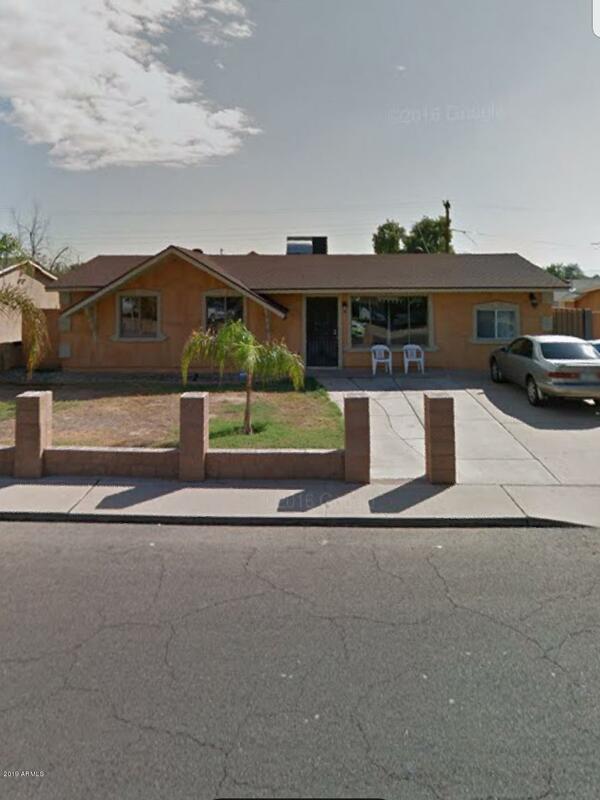 "Remodeled home with stainless steel appliances, new kitchen, doors, travertine flooring, new paint, granite counter tops. French patio door."